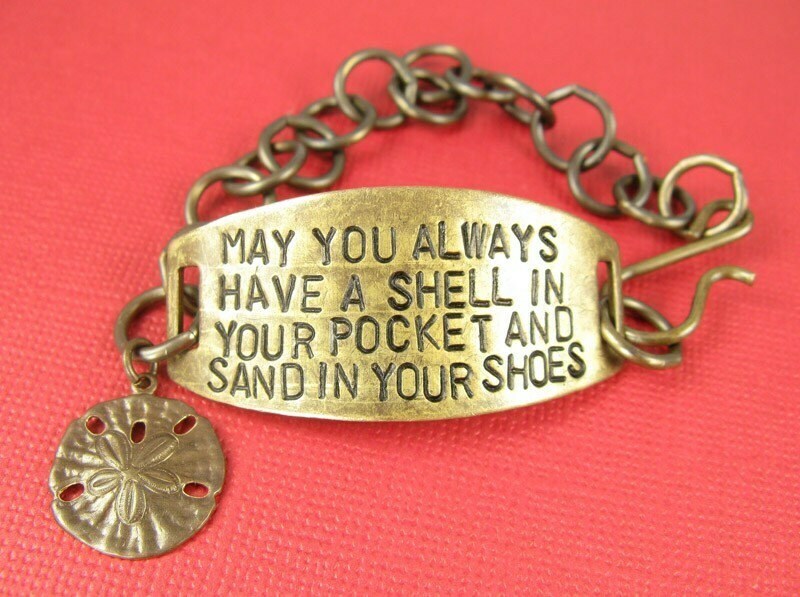 To me this saying is a wish of happiness to whoever is wearing it. 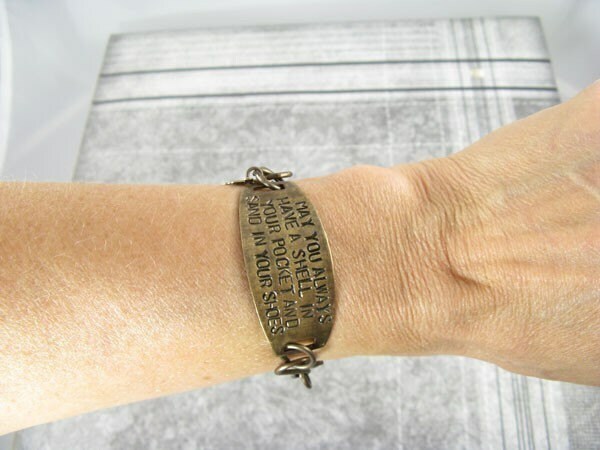 Each letter is stamped individually by me - so your bracelet may vary slightly from the picture shown. 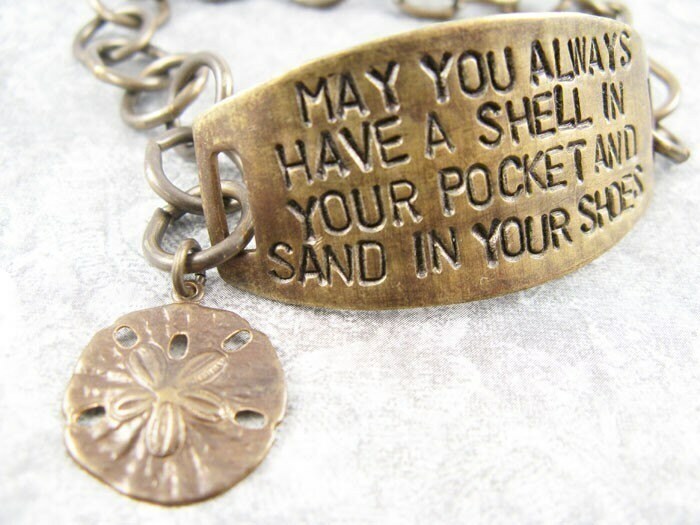 The quote is: "May you always have a shell in your pocket and sand in your shoes." Perfect for someone with a lake cabin, beach home, or someone who loves the ocean. 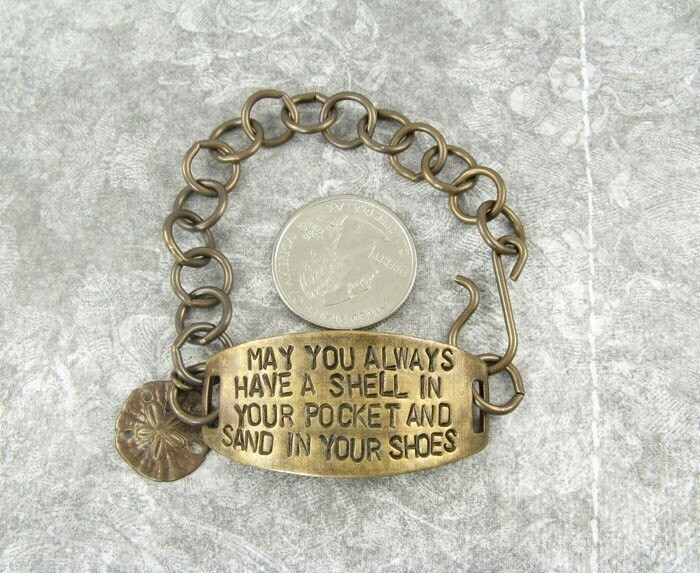 The bracelet is accented with a brass sand dollar charm. The entire bracelet is natural brass - no lead or nickel. Always read my shop announcement and store policies prior to purchasing. Thanks! I love this bracelet!! I bought it for my mom for her birthday and I am coveting it! The product is exactly as it appears in the pictures and it arrived right on schedule. Love this bracelet..thanks for adding the pearl dangle. I have a small wrist & this fit perfect!!! Very pleased!! !